Rodeo Stampede: Sky Zoo Safari is the latest game from developer Featherweight Games, the same company that brought you Crossy Road. Here your goal is to capture calf by riding rodeo style, the objective being to take them to your zoo park. This isn’t how animals in real zoos are caught, but it does make for a really fun game. 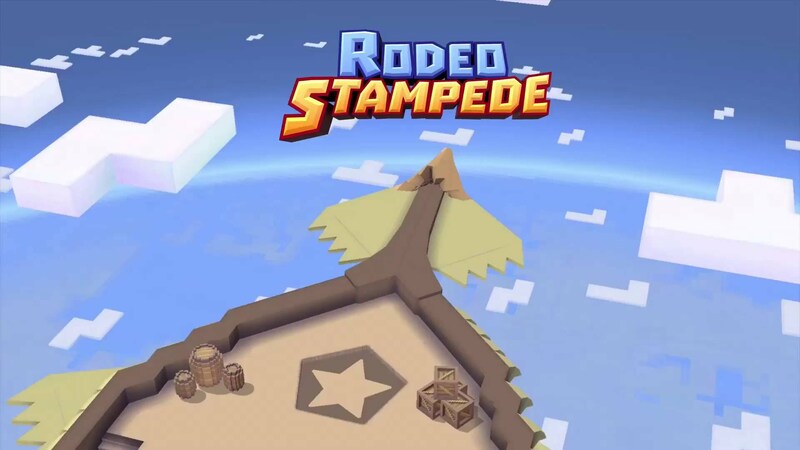 Rodeo Stampede may look like Crossy Road but it’s actually a different type of game. It is one part park management and one part endless runner. You start as a cowgirl or cowboy on a horse, pressing the screen and sliding your finger left or right to move. Let your finger go and your character gets launched onto another animal. Tap / press and hold to rope the animal, slide your finger to steer, launch your character and move on to the next animal. Just like in a real rodeo you will only last a few seconds on the animal before you’re thrown off. The key here is to look for an animal your zoo doesn’t have yet, ride for a set time and you’ll be able to secure it. Once you’ve got the animal, it’s taken in your zoo. This is where the park management phase of the game starts. The mechanics are similar to other mobile management games wherein you have to increase the value of your animals, earn income, prepare new rides and so on. Bottom line: this is an addictive game.